DIXON FAMILY SERVICES IS PARTICIPATING! Our goal is to raise $15,000 all in one glorious day! All pledges will be appreciated! Large and no matter how small, donations will all add up to help us meet our goal to keep helping people in need in our community. Reassure us that you still believe in the good work we do to improve people’s lives. PLEASE share with all your other Facebook friends about us too!! 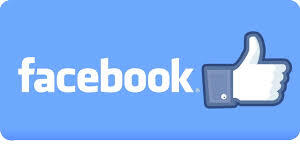 We can’t wait to hear from you on Facebook! THANK YOU FROM EVERYONE AT DIXON FAMILY SERVICES!!! 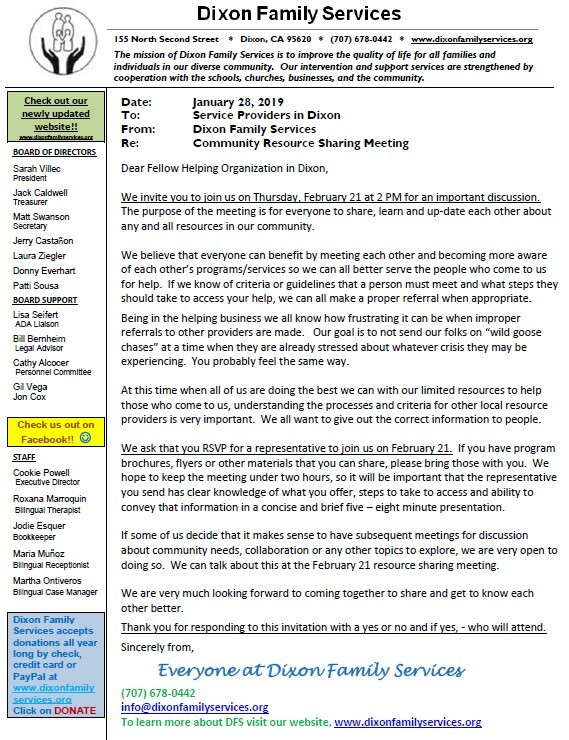 Our “COMMUNITY ALERT” letter that recently went out, explaining our current shortfall of funds, was answered with genuine concern and support for assisting Dixon Family Services (DFS) keep the doors open to serve families and individuals in need in Dixon. To save the cost of postage I have been calling, texting and emailing donors to express gratitude on behalf of everyone at DFS and the people we serve. In case I have missed reaching you. . . THANK YOU FOR YOUR HELP!! Helping us can look many different ways, such as the examples above and those below. If you send a financial contribution it will be used in the most critical area(s). If you, as an individual, a business or club/organization prefer to sponsor a particular program, you can talk to me about that. Many service organizations, churches and businesses over the years have “sponsored” programs and services that we offer at DFS. As I shared in the recent letter, this fiscal year (2018/2019) we have the lowest amount of government funding coming into our organization’s budget than we have had in decades. We need the support of our community now more than ever! The services provided at Dixon Family Services are vital to a healthy community. When I am out and about talking with people in town, it is rare that I find someone who can say they have not sent someone they know, referred one of their family members or utilized one of the various DFS programs themselves at one time or another. 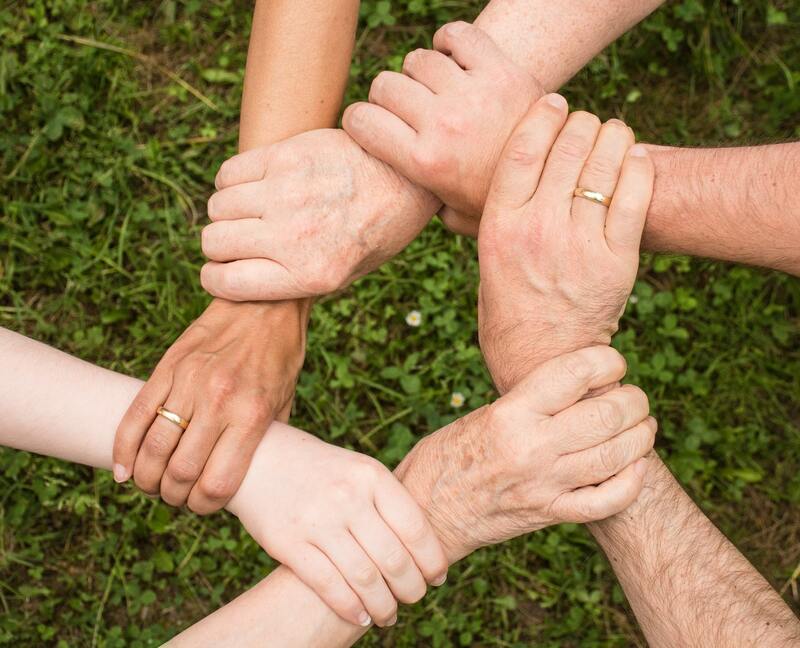 We help hundreds of people each year achieve goals such as increased financial stability, improved employment, improved nutrition, sobriety, emotional wellness, positive parenting and family cohesiveness. Many of the people we help become active and contributing members of this community. Please take a moment to think about what it would be like if DFS did not exist. If you have been thinking about writing a check or of getting involved in any way, please make now the time to do it. Right now is when we need your help the most. We do not expect this lack of government funding to go on forever but in the interim we must count on your support, in as big or as small a way that you can. Everything is appreciated! I look forward to hearing from you soon. Thank you in advance!